Rachel Notley says an NDP government would hire 600 teachers, with another 400 coming through a $23-million increase in Alberta's classroom improvement fund. 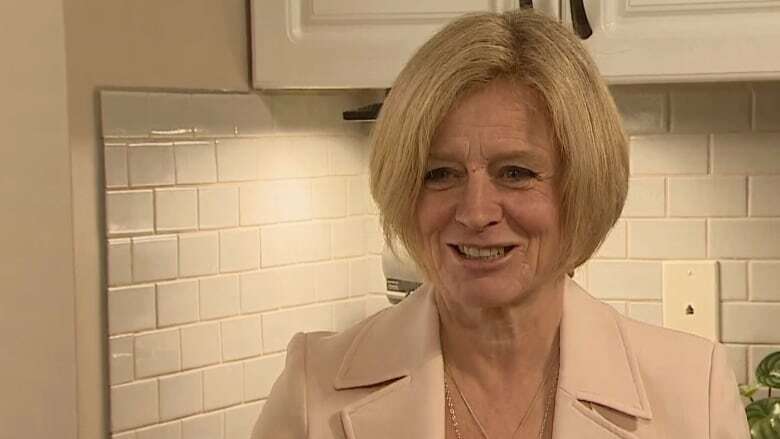 Alberta NDP Leader Rachel Notley is promising to hire nearly 1,000 more teachers this fall if her party returns to power after the April 16 election. Notley says an additional 15,000 students are projected to be in classrooms when the next school year starts and it's critical to give them the supports they need. "As your premier, I will make sure that every child that enters school has a teacher to greet them. Our kids deserve nothing less," she said. She says an NDP government would hire 600 teachers and another 400 would come through a $23-million increase in the province's classroom improvement fund, bumping it up to $100 million. That fund would also be made permanent if the NDP is returned to power, Notley said. The fund is delivered to schools based on student enrolment and is meant to help retain teachers, hire new ones and pay for resources to help students with complex needs. Earlier this week, Jason Kenney said a UCP government would do an audit to investigate why class sizes in Alberta have continued to increase despite specifically earmarked funding to trim them. Notley also promised that the NDP would spend $1.3 billion to build and upgrade another 70 schools, including a new high school for Calgary's north end. There would also be money to ensure every new and modernized school has a playground. Another $5 million per year would go to replace 100 aging and outdated play areas. The NDP says it would also create provincial Filipino, Punjabi, Somali and Cantonese courses "to ensure more students are prepared for Alberta's future in a global marketplace."